Looking for a unique pet that won't take your house over and pretend that they own it? Have you ever considered buying a pet tree frog? Sure, it may not be the first thing to come to mind when you think about a pet, but the fact is, tree frogs make great pets! Tree frogs are different from other frogs since they spend most of their time living in tall trees, rather than hanging around at a pond or creek like other frogs. The only time they usually hang around on the ground is during mating season and they can be found in many regions throughout the world. There are several different types of tree frogs that one might want to have as a pet including the White's Tree frog, Red-Eyed Tree Frog, and a Green Tree frog to name just a few. Originating in the regions of Australia and New Guinea these bright green frogs make great pets. They are not overly active and do not require any special skill to care for them properly. In terms of size, the White's Tree Frog grows to around 4 or 5 inches long and they will live approximately 15 years. Unlike many frogs that hate to be picked up, the White's Tree Frog seems content with being picked up. As for food, if you're wondering what to feed the White's Tree frog, a safe bet would be crickets, meal worms, and even baby mice! Just like their name suggests, the Red-Eyed Treefrog has bright red eyes that are noticeable against the bright green color of the frog, with yellow and blue stripes. If you're looking for a unique tree frog with brilliant colors, the Red-Eyed Tree frog is a great option. Red-Eyed frogs are from the rainforests of Central American countries and Costa Rica, which means that when you have them in your home, they need to be kept warm and the air should be very humid. Feeding a Red-Eyed tree frog is easy; Just feed them crickets and they will be very content. These pet frogs will be most active at night and may sleep quite a bit during the day and are very docile. a Green Tree frog is otherwise known as the White's Tree frog as discussed above. The American Green Tree frog is found throughout many states in the U.S including Georgia, Florida, Texas, North and South Carolina, Mississippi, Maryland, Delaware, and Virginia. The diet of the Green Tree frog consists of crickets, flies, worms, and moths, but they are able to go without food for over 48 hours. At 2.5 inches long, they are quite small, but the males are smaller than the females. If you are looking for an inexpensive pet, the Green Tree Frog is perfect as they are often sold for just $10 to $20. Tree frogs, unlike the common ground frog, are any frog that spends the majority of its life in an arboreal state. Arboreal locomotion is the locomotion of animals in trees. If one is interested in caring for tree frogs they will most likely need a vivarium (Latin, literally for "place of life") is a usually enclosed area for keeping and raising animals or plants for observation or research. This artificially controlled area can often rather successfully mimic the natural environment of the tree frog. Sufficient planning and care are required if one is to care for amphibians in the home environment as tree frogs are easily stressed if subjected to unnatural conditions. Therefore equipment to further enhance the quality of life of the tree frog in this artificial environment has been created. Conditions such as relative humidity levels and temperature must be kept as constant as possible to successfully care or breed tree frogs at home. In order to achieve this, some automated systems have been created to seamlessly integrate with your vivarium to make tree frog care a breeze. If you are a first-time frog keeper then to not be alarmed by the exact figures required, keeping tree frogs at home is by no means supposed to be scientific. To give you a little story of how getting caught up in the finer details can stop you taking the plunge and getting some tree frogs as a feature for your house. When I first attempted to brew beer at home, I thought that the temperature had to absolutely stay between about 21 to 27 degrees Centigrade. When I actually gave it a go and I found that you could in fact successfully brew great homemade beer below that temperature. If you happen to own a frog now and are looking for ways to give your tree frog a better life try these tips. Say you have the tank in which your frog lives in your bedroom. Let's say that you leave the light on and don't go to bed until three in the morning. As you can imagine, this can be very confusing for your frog. Its body is telling it that it should be dark and out hunting. However, it's light sensing organs are letting it know that it is still day. Maintaining regular lighting patterns will make sure that you reduce the stress that you tree frog will live a happy life. Here is another example, Let's say your frog lives in the living area. You get cold in the winter to you put the fire or heater on. I think you know where I am going with this one. What do you think that the frogs head is thinking when it is so hot in the middle of winter? Well, it most likely does not know that season in your country but frogs like regularity and this mean a regular temperature too. Keep the temperature constantly warm and humid for your tree frog to ensure a long life. Ramping the temperature right up so it's hot and dry right after a cold period will be very stressful for your pet. Tree frogs are Fascinating creatures of this earth and can be excellent pets if cared for properly. Currently there is no resource on how to properly care for your tree frog at home. There are a few processes in the process of caring for your tree frog that can go wrong and cause your frog to get ill. Tree frogs that do get ill are actually quite hard to bring right again which means prevention in this case is the best cure. This places even more emphasis on vivarium set up and your automated frog care solutions to be set up the right way the first time. Frogs do not like to be handled to much so constantly going back and changing the vivarium all the time can become stressful for your tree frog. As some frogs, known as exotic pets, can be expensive it is well worth investing in a resource that will teach you the exact steps Required in order to breed and care for your own colony of tree frogs. Whether you are dealing with the common garden frog or the much documented red eyed tree frog, this tree frog care manual is all you will need to become the envy of all tree frog enthusiasts. However in the end you must be the one to decide for yourself Whether you really need this manual or not. Another aspect of tree frogs that is not covered all that much on the web is tree frog breeding. Some tree frog species can fetch a hefty price so if you can come up with an effective automated breeding plan, you can make a decent amount of money. I have been doing this for awhile so I know where you can go wrong. Its not a complicated process by any means. In the most part nature takes its course. However providing the optimal breeding conditions hence making it profitable can prove difficult even for the pro. You see I have 10 years experience in the tree frog field an have had my ups and downs but I have come up with what I think is a pretty good system of caring for these guys. 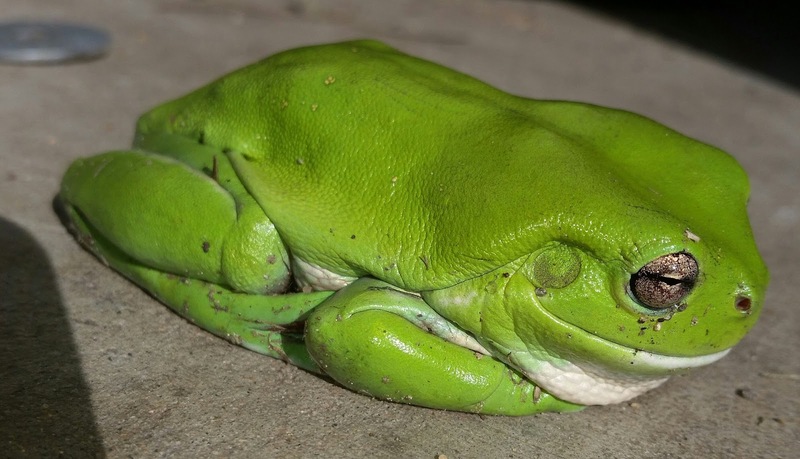 I just hate to see so many stories of frogs dying around the world and want to do my bit towards informing the public on Legitimate tree frog care. In the hope that less frogs die as a result. Believe that global efforts towards informing the public on the problem on how to deal with declining frog numbers is a step in the right direction. I would love to hear your viewpoint on this and I understand that not everyone sees eye to eye. If you are not aware off this here is a paragraph explaining the problem. "Chytridiomycosis is an infectious disease that is affecting frog species all over the world. Thought to be worsened by global warming this disease is a fungus that has dramatically reduced frog populations. DO NOT transfer frog populations in your area without contacting local authorities. Hopefully scientists can come up with a cure because at this point there seems to be none." So join me in understanding what the effects of global warming and the human race is having on the animals that share our world so that we can better care and protect them in the future. I am just here to be of any assistance that I can. I have a 14 day ecourse ready for you at treefrogcenter.com to kick start your tree frog keeping. This course is Absolutely free and will guide you along the road of taking action. As well as through the steps Required from being a complete newbie to frog care to having a full vivarium of tree frogs will full ability to feed them at very low cost, as well as have automated systems in place such that your tree frog caring becomes easy and rewarding. You have absolutely no obligation to buy anything, this is just some free information I want to give you in the hope that tree frog breeding and care will further enrich your life like it has done mine.